Posted by rogerhollander in Chile, Foreign Policy, Genocide, Guatemala, Honduras, Immigration, Latin America, Peru. Roger’s note: Another is my series: your American tax dollars at work in Latin America … to aid and abet murder. In just the first two months of 2015, we have been horrified, though not surprised, to learn of the continued repression by SOA/WHINSEC graduates against their own people. 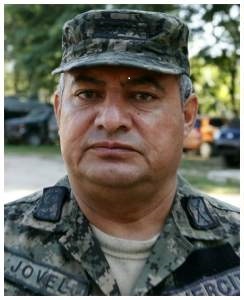 As the US continues to secure economic and political interests by utilizing military solutions to social and political problems, SOA/WHINSEC graduates continue to make headlines in countries like Honduras, Guatemala, Peru and Chile, underscoring the importance of continuing the struggle to close the SOA/WHINSEC. While some graduates have yet to be held accountable due to the high levels of impunity in their country or in the US, they are all directly responsible for committing grave human rights violations, which include murder, torture and genocide. As we continue to highlight these atrocities, we invite you to join us in Washington, DC for our Spring Days of Action this April 22-25, Growing Stronger Together: Resisting the “War on Drugs” across the America. 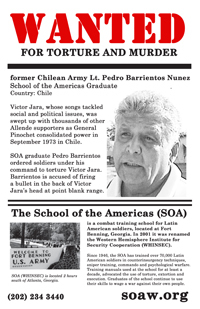 In 2013, a Chilean Supreme Court formally requested the extradition of former Lieutenant Pedro Barrientos from the United States to Chile to stand trial for the 1973 torture and murder of folk singer Víctor Jara. Barrientos moved to the US after the Pinochet dictatorship ended in 1990. While the US government has yet to respond to this extradition request, a trial in a Florida court was set to begin on February 23. Though the trial has been postponed, Barrientos, who currently resides in Deltona, Florida, could potentially lose his US citizenship and later extradited to Chile where he would stand trial. In the US, Barrientos has been accused of immigration fraud, as he concealed his participation in human rights atrocities during the dictatorship in Chile. Joan Jara, widow of Víctor Jara, filed the case against Barrientos and has been seeking truth and justice for over 40 years. 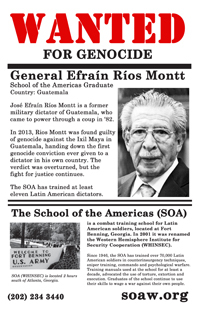 On January 5, the retrial against SOA grad and former dictator General José Efraín Ríos Montt and José Mauricio Rodríguez Sánchez was set to resume following the annullment of the historic May 10, 2013 sentence condemning Ríos Montt to 80 years in prison for crimes against humanity and genocide against 1,771 Ixil Mayans. He is the first former head of state to be put on trial for genocide. On the morning of the retrial, the defense motioned for a postponement of the trial, using Ríos Montt’s deterioating health an excuse for not being able to present himself to the courtroom. Through stalling tactics by his defense, including attempts to seek amnesty, the retrial has been postponed once again despite international criticism. Ríos Montt came to power after a coup on March 23, 1982 and remained in power until August 1983. He is 88 years old. Yesterday in Peru, prosecutors requested 25 years of prison for SOA gradaute, retired General Daniel Urresti Elera, related to the 1988 murder of journalist Hugo Bustíos. As head of the Intelligence Section of the Countersubversive Military High Command Battalion at the time, Urresti is accused of masterminding the ambush and murder of Bustíos. 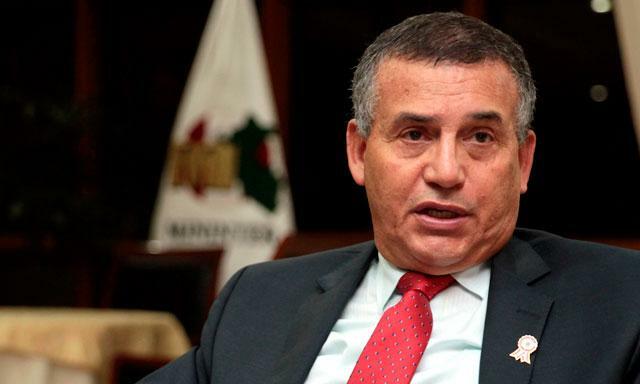 Up until last week, Urresti was in charge of Peru’s police as Minister of the Interior and also made headlines as police repression was unleashed on protests against a law that would eliminate labor benefits and rights for young workers. Twenty thousand young people took to the streets, protesting neoliberal reform. On January 15, 2015, police unleashed tear gas and detained protesters, and violence was reported between infiltrators and police. Soon after, on January 26, Urresti publicly boasted to the media that the young people would not be able to reach Congress and sent ten thousand police to block them. Nevertheless, the Peruvian youth and social movements prevailed and Congress was forced to repeal the law. 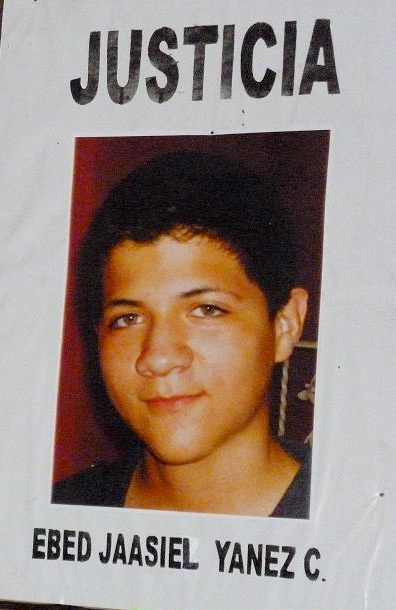 Just last week, Urresti apologized for the February 11, 2015 death of 25-year-old Ever Pérez Huaman during protests against a petroleum company in Pichanaki, Peru. Amidst mounting criticism, Urresti admitted political responsibility for the use of firearms by police during the protest, and stepped down as Minister of the Interior. Thanks for a great blog. It would have been nice to know what SOA/WHINSEC stood for when I started the article.